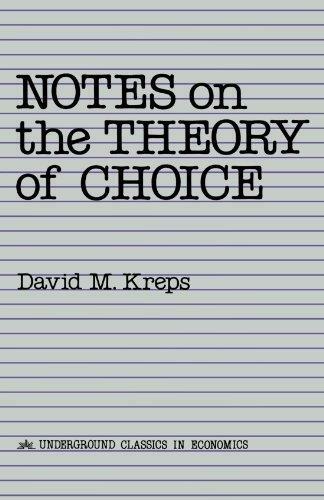 245 1 0 %a Notes on the theory of choice / %c David M. Kreps. 260 %a Boulder, Colo : %b Westview Press, %c cop. 1988. 300 %a XV, 207 s. : %b il. ; %c 23 cm.